Want to display KDE style folder view widget on your desktop? Well, here I’ll show you how to do it in Ubuntu Unity and Linux Mint Cinnamon. 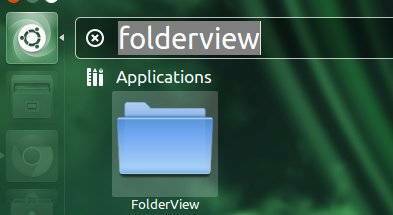 The FolderView screenlet displays your favorite folder items on your desktop and allows to single click to open files or folders with default program. Open FolderView screenlet from Unity Dash. Right-click to get the menu, navigate to Properties -> Options -> Folder and set Folder path to Other and choose your favorite to display on desktop. After becoming accustomed to KDE and its excellent FolderView feature, I recently installed Linux Mint Xfce in order to have a cleaner-looking and more responsive system. Because I use three monitors with the primary display on the far right, I wanted something like FolderView in order to keep desktop icons on the primary screen. Xfce does not have this feature built in; therefore, I installed screenlets and used the folderview screenlet. Unfortunately, the folderview screenlet it does not reproduce the entire desktop as KDE’s FolderView does. Moreover, the folderview screenlet is prone to frequent crashes, at least on my system. I hope that this promising applet will be further developed to enhance its functionality and stability.